Photo Editor by BeFunky. Anything you want to do to your photo, you can do with BeFunkyPro! With all the photo effects you love from our FREE App and many you won’t find anywhere else, BeFunkyPro is the most feature filled photo editing app in the world! No registration is required, there are NO ADS, no watermarks, no limitations, and no forcing to share… With BeFunkyPro you get total control over your photo editing experience. Touch up your photos all the way down to the pixel with our state-of-the-art red eye reduction, blemish fixer, flashspot remover, teeth whitener and more! An abundance of shapes and patterns to overlay onto your photo for a truly unique look! Packed to the brim with a plethora of unique, one-of-a-kind goodies and stickers for you to choose from! Choose from tons of fonts (ours AND yours!! ), colors, and backgrounds! Over 70 effects included (that's twice as many as our FREE App! ): Vintage, Pop Art, Instant, Summer, Viewfinder, DuoTone, Chromatic, Sketch, Tilt Shift, Old Photo, Cross Process, Gritty HDR, Orton, and many more. 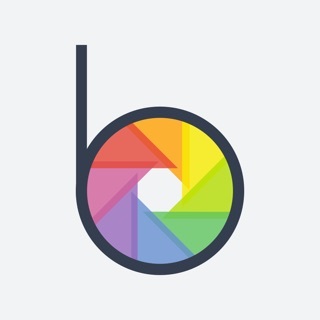 BeFunky has everything you need, from the simple edits of crop, beautify, and sharpen to more advanced edits like fill light, exposure, and saturation. Choose from Instant, Filmstrip, Halftone, Grunge, Classic frames, and more. 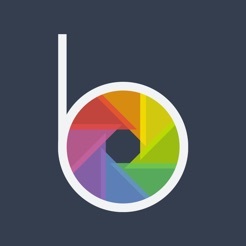 BeFunky gives you the ability to instantly and simultaneously share your photo to your camera roll AND BeFunky, Facebook, Instagram, Twitter, Flickr, and Tumblr. Rather than having ads throughout BeFunky, we rely on your app store ratings and word-of-mouth to keep BeFunky AD FREE. We’d really appreciate it if you could take a moment to rate our app and share it with a friend. If you’ve done it in the past, you can update your rating for this current version (and share it with a new friend!). I have had this on my pc before the app was even made or before I saw it. Over 7 or 8 years. This is the best all around app for pictures. I will use this prior to using another photo app that this may not do, but that’s rare. There’s no photo app that really does it all but for regular photos and to make them look the best you want them to look I recommend this app over anything else. Just get it and you will see all the different looks you can get. It has been easy to navigate and very self explanatory. You can just jump in and start creating cool collages and pictures. It’s a great thing to send to friends and family for the holidays. Or just a little something to make them laugh or smile. Life is too short to not enjoy it and share it! So start now. This is one small thing you can do and you will have a lot of fun doing it! I have had this app for along time. I have tested so may photo apps and his one has been the best by far. Everything you need in one app. And they have a lot of different choices which is amazing for editing. It’s also super easy. No bells and whistles, just directly to the point, and I have never had any kind of issues with it. I highly recommend it to anyone looking for a good photo editing app.